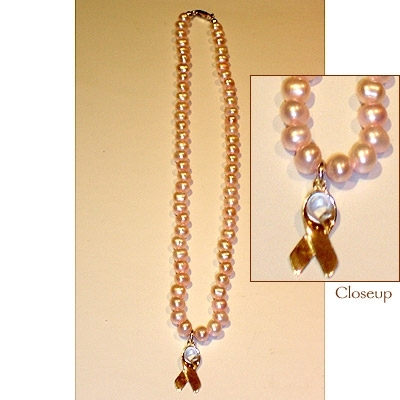 This elegant 18" pink freshwater pearl necklace with sterling silver ribbon is great for a night out. Purchase the freshwater pearl stretch bracelet to go with this beautiful necklace. Another great addition to your pink ribbon collection.